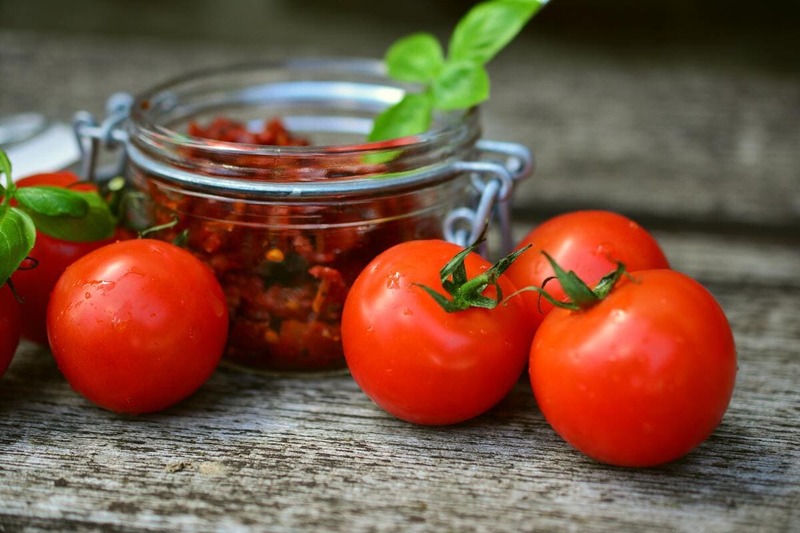 Can tomatoes be kept on the countertop or in the pantry? 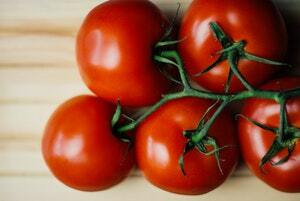 Can tomatoes be kept in the fridge? Can tomatoes be kept in the freezer? Unripe – the countertop at room temperature or a cooler pantry is the best place to ripen your tomatoes. Unripe tomatoes are usually green or have patches of green skin on them. They will also be hard when lightly squeezed. To ripen naturally, first remove any stalks or stems. Then, rest the tomatoes “scar” side down. Removing the stems stops moisture escaping via the stem. Storing them upside down helps to prevent air and extra moisture entering the tomato via the scar which would cause mold to grow and make them go bad. If you want to ripen them quickly, place them in a breathable bag. Ideally, this will be a paper bag. But a plastic bag with some holes punched in it will suffice. This will trap ethylene gas that tomatoes produce whilst they ripen. This will then get reabsorbed to make them ripen quicker. You can also store tomatoes in a paper bag with other ethylene-producing produce such as avocados or bananas. 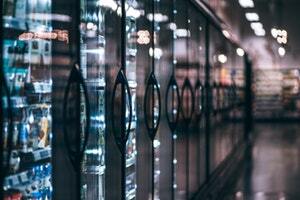 Can tomatoes be kept in the refrigerator? Unripe – unripe tomatoes should be stored on the countertop or in the pantry (see above). This is because putting them in the fridge significantly slows down the ripening process. In some cases, the ripening process will be stopped all-together, meaning the tomatoes will never become ripe. 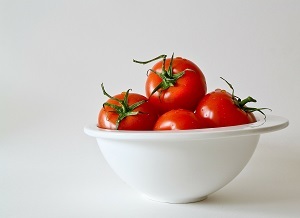 Ripe – if you have ripe tomatoes that you are unable to use immediately, you should put them in the fridge. This will significantly slow down or even halt the ripening process, keeping them from going bad too quickly. Some advice says that you should take refrigerated tomatoes out of the fridge and place them on the counter for 24 hours before you wish to use them. This will help them regain some flavor lost during the refrigeration process. Unripe – the freezer is not a good place for storing tomatoes that are unripe. They are best stored on the countertop or in the pantry (see above). Ripe – if you have a lot of ripe tomatoes that you aren’t going to use for a while, you can freeze them. To do this, first, wash and pat them dry. Then, place them on a baking sheet, making sure they don’t touch each other, before putting them into the freezer. Once frozen, transfer to a freezer bag or container. Because the freezing process damages the cells, the tomatoes will be soft when thawed. This means that they will only be good for cooking with. They will not be good to use or eaten fresh. However, the freezing process does loosen the skin, making them much easier to peel. 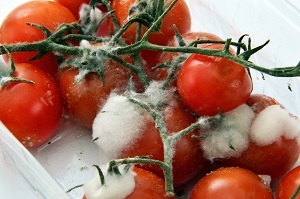 Look – the most reliable sign of whether a tomato has gone bad is mold. This mold will look like dark green or black spots on the skin of the tomato, as well as a fuzzier white kind. If the skin shows sign of wrinkling, it has also gone bad. Bad tomatoes also tend to leak fluid. If you pick up a tomato and notice that there is fluid underneath it, then it has gone bad. Feel – if a tomato is soft or mushy when given a light squeeze, it has gone bad. Smell – if you find that a tomato is producing a bitter or putrid smell, then it has gone bad. Do you have any recipes for unripe or green tomatoes that you’d like to share? Is freezing ripe tomatoes easier for peeling rather than using hot water? What’s your favorite type of tomato? Let us know in the comments. Don’t forget to check out other articles in our “How to Store” section.